Pi Day may be a holiday celebrated mostly in the math world, but here in the food world, we think it’s also a great excuse to eat (what else?) pie! Not that we really need an excuse to eat delicious baked goods. March 14th, or 3/14, is Pi Day. How many digits of pi can you recite? Most people know pi simply as 3.14, but it is actually a never-ending mathematical constant. Some celebrate Pi Day by reciting as many decimal digits of pi from memory as possible, but we’re celebrating by having a slice or two of the real thing. The world record holder recited upwards of 60,000 digits in almost 24 hours. Now that man deserves a piece of pie! 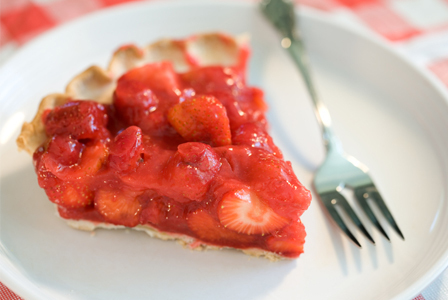 In honor of Pi Day, try one of these fruity pie recipes today.